Founded in 1941 by a group of producers seeking better conditions to export their products, the company has grown and become the biggest exporter of top quality prunes in the Southern Hemisphere. Prunesco has implemented a policy of Corporate Social Responsibility (CSR) focused on the development of its employees, its community and the exploration of new energy sources such as pit burning that reduce the impact of its activities on the environment. Excellence on the way to the top, no boundaries, through smart management and self-regulation. 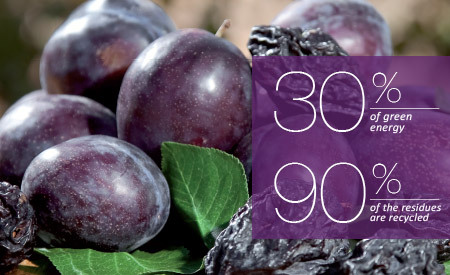 We produce and export more than 20.000 tons of prunes and related products of the highest quality to more than 50 countries throughout the world. 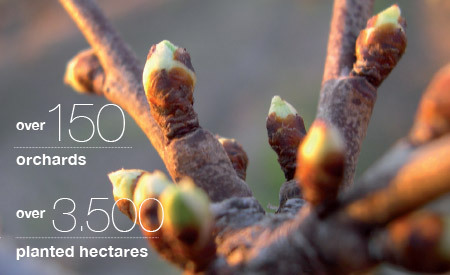 This accounts for approximately 30% of the volume and value of Chilean exports. 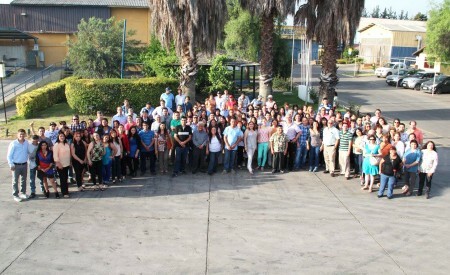 PRUNESCO is one of the three biggest companies in the prunes industry worldwide. 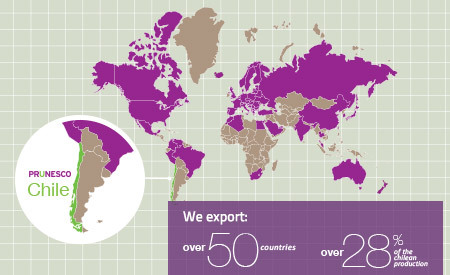 Today, we export over 98% of our prunes production. In order to effectively comply with our mission, PRUNESCO has installed important systems and methods to comply with environmental demands. The company currently counts with two residue treatment plants, which through bacteriological procedures comply with strict norms geared towards respect for the environment. With the same idea in mind, we are proud to inform that 30% of our energy requirements is being replaced with energy from our own pits.